My house is very small and my children are very busy. I was the type of person that before I had children swore that I would never put up any gates, never install any child locks and never put anything out of reach. It was a determination of mine to train my children to not touch and to obey. Welllll, my ideas were nice but they weren't realistic...to a point. When my daughter was about 9 months old, I put a child safety lock on the bathroom sink cabinet. I realized that I had some nasty chemicals in there that I didn't want her to find and decided that I had better be safe than sorry. Then, I found myself putting things out of reach. *sigh* My ideas were slowly falling apart. Most of the time I could train her to not touch, but in her moment of curiosity and me being out of sight, things were getting broken. So, up things went! Now, I have two children and the curiosity hasn't stopped! Hubby and I decided that it was time to get a gate to partition them off in a play room for certain times during the day. They really need to learn how to play together and sometimes I need to get things done when the children are not right under my feet. So, we purchased a small gate and LOVE it! Recently, in between the time that we were looking for a gate and hubby purchasing above-mentioned gate, I found a company that carries all different kids of baby gates, among other child safety products. KidSafe is an online company that offers safety solutions for parents. At KidSafe, we're committed to making the home a safe haven where children can learn, play and explore. We offer the highest quality child safety products and knowledgeable home safety tips to create safer homes for kids and peace of mind for parents. KidSafe sells a large variety of high quality baby proof supplies. Baby proofing products are specialty items that are often difficult or impossible to find in most hardware/retail stores. 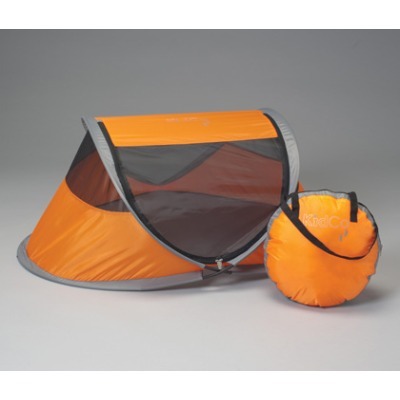 Many of the products that we carry are unique and made by small companies dedicated to child safety. Our products are also from higher quality brands than most retail/hardware stores carry. From our years of experience in the babyproofing business we have developed a product line that combines quality, durability, and fair prices. -Michael Hixson, President, KidSafe Inc.
Now that I have learned a few things about being a parent, I am really an advocate of making homes safer for babies and children. They are learning little people who need a bit of protection when it comes to their environment. When this gate arrived I didn't open it right away. My morning sickness has left me pretty sapped of energy and I was waiting for the "perfect opportunity" to use it. Well, my opportunity came very quickly. While preparing dinner one evening, the children were very clingy and wanted to be right next to me. I needed some space between them and me, so I decided to try out my gate. I was SO THRILLED to find that this gate will extend the full length of my kitchen entry-way, which is well over 40" across. I have not been able to find a gate that is reasonably priced to fit in that doorway. Setting up the gate was simple as it unfolded easily and the sides clicked into place. The ends are pressure mounted which makes for very smooth and easy installation. Once my gate was in place, I was able to prepare dinner while my children watched from the opposite side of the "fence" as my three year old called it. Ha ha. They were a bit put off at first but now they are fine with it. 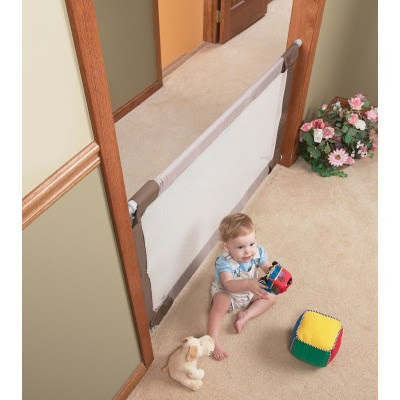 The Crosstown Soft and Wide Baby Gate by Evenflo retails for $47.95 and is available on KidSafe's website. So, in my opinion, KidSafe is a great company! They offer just about any type of safety device you can think of when it comes to child safety. I love the gate I received and it works really well for my wide doorway. I would definitely recommend this company to any and all parents of busy children. They have something for every room of the house and really, you should check them out today. Visit KidSafe and then come back here and tell me which product you need for your home. :) You do not have to be a blogger to enter, but you must have a valid email where you can be reached should you win. If you do not leave an email address, it must be where I can easily find it. This giveaway is open to US residents and will end 11/2 at 11:59 pm EST. The winner will be chosen using random.org and will be notified by email. The winner will have 48 hours to respond, or another winner will be selected. 1. "Like" KidSafe on Facebook. 2 entries, so 2 comments. 2. Follow KidSafe Twitter. 2 entries, so 2 comments. Disclaimer: I received no monetary compensation for this post. I did receive free Evenflo Crosstown Soft and Wide Baby Gate for review purposes. All quotes and stock photos are from the KidSafe website and email. Prize is being provided by the sponsor. All thoughts and opinions are 100% mine. I like the retractable driveway guard. I like the superyard xt playyard. the child proof sliding cabinet lock! my daughter loves doors! We could use the KidCo Stove Guard for Kids! It might be a small thing but the Door Flip Lock could really come in handy for me. I like the retractable driveway guard. Great idea. I could totally use the 4700 - Retractable Driveway Guard, 18' Wide for the summer at our house! 10/19 Picket Fence Blogs Vote! Love the Medibag and MobiCams! could spend forever over on that site getting products to protect my family! I liked KidSafe Home Safety Products on Facebook (Deborah Rosen) (1). I liked KidSafe Home Safety Products on Facebook (Deborah Rosen) (2). I followed KidSafeInc on Twitter @AsTheNight (1). I followed KidSafeInc on Twitter @AsTheNight (2). I follow with Google Friend Connect (1). I follow with Google Friend Connect (2). I follow with Google Friend Connect (3). I follow coupons4moms on Twitter @AsTheNight. I shared on Twitter: http://twitter.com/#!/AsTheNight/status/127529667996557313. I need a carbon monoxide alarm! I need the hearth guard. The baby harmony cleaners look great! I could use the Auto Close Gate for when my grandchildren visit. I need the magnetic cabinet locks. My son is 10 months old and into everything! I like the Sure and Secure Deluxe Walk-through Gate! Thanks so much for the fantastic giveaway! I follow KidSafe on Twitter! Thanks so much for the fantastic giveaway! I like KidSafe on Facebook! Thanks so much for the fantastic giveaway! I voted for you on Picket fences! Thanks so much for the fantastic giveaway!